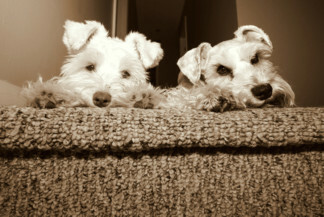 Flurry and Flossy are the Doggy loves of my life. They follow me where ever I go and never leave me alone for a second. Flurry just turned a year old on October 16th and Flossy on the right turned 2 on September 29th. I was told after getting Flossy that Schnauzers are addicting and that you can't just own one. Well wasn't that person right. This breed is simply Amazing! On one Summer afternoon Flossy N Flurry were digging at the door wanting to go outside. After letting them out they were barking like CRAZY which alerted me. Upon walking outside I noticed a suspicious car sitting in my neighbors driveway. To make this story short.. Flossy N Flurry new something was not right. We found that my neighbors house had been broken into through a window and there precious belongings were gone! If it wasn't for my dogs alerting me to go outside I never would've known or seen the car in the driveway. It was my description of the car that got these thieves caught! I'm now awaiting the trial date for I have to appear to testify. It was my Mini's that really caught these thieves. They are the true heroes and I'm so proud of them. Who needs Lassie? All you need is a Mini!! 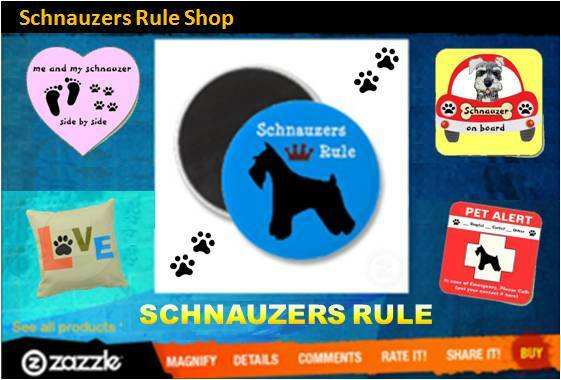 If you're looking for a Loyal Companion, Protector and an Unconditional Loving dog.. then a Mini Schnauzer is right for you!!! Great little dogs they are and I know what you mean about being additive I have two and my little man Charlie is a great protector so is his big sister Angel.Take care of your babies and they'll take care of you!!!! They should be rewarded by putting them in the Calendar on this page. They are the best.